" This machine is so quiet and was pre-programmed per my prescription. I am very happy with the machine and your company "
" Product came all set up ready to go. 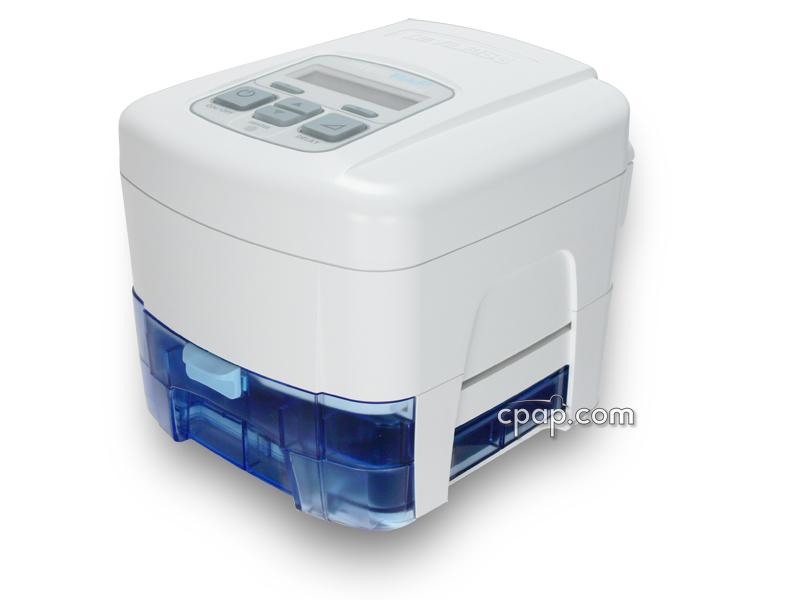 Very quiet and a nice machine for the money "
Offering advanced features, the RESmart™ CPAP Machine with RESlex with Heated Humidifier is a cost effective option for treating Sleep Apnea. Increasing therapy comfort, RESlex™ Exhalation Relief eases the exhalation process making it easier to breathe out against the air flow. Access advanced data remotely with the built in iCode™ function and view the data from the last session of use on the screen. Included in this bundle is the integrated Heated Humidifier to further enhance therapy comfort. Pressure relief at the time of exhalation increases therapy comfort, especially for new users of Sleep Thearapy. RESlex reduces the air stream pressure during exhalation making it easier to breathe out against the flow. RESlex can be set to a level of 0, 1, 2, or 3 with 3 being the largest drop in pressure at exhalation. On the RESmart CPAP, the RESlex setting comes with a default of 0 or 'off'. The Important Tips tab of this page includes information on accessing the Patient Menu to set the RESlex level. Enter iCode here: iCode Report Site. 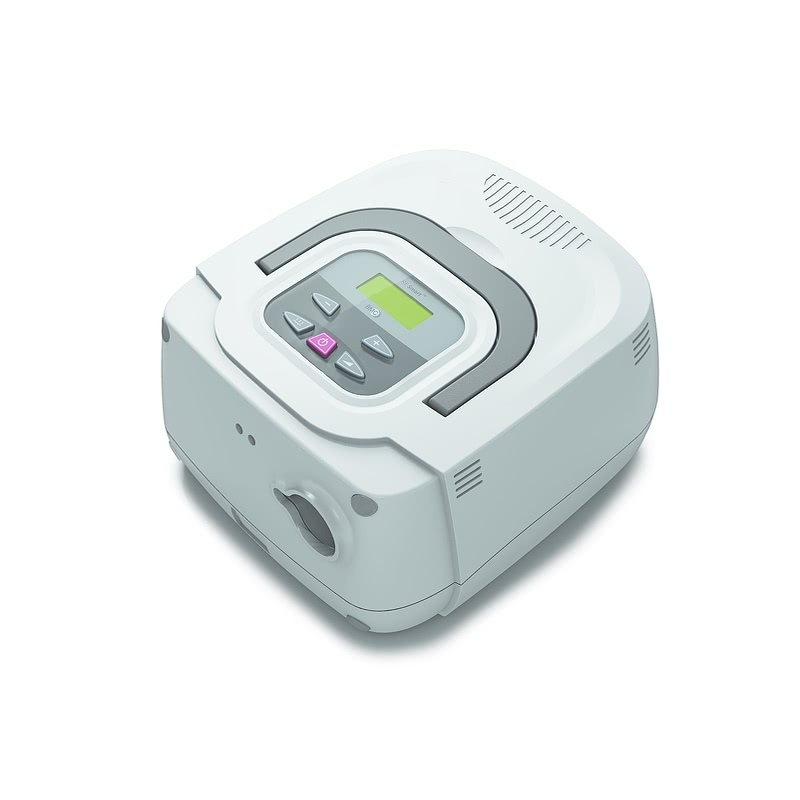 The user manuals included with this machine can be viewed and downloaded here: RESmart Auto Machine and RESmart Heated Humidifier. 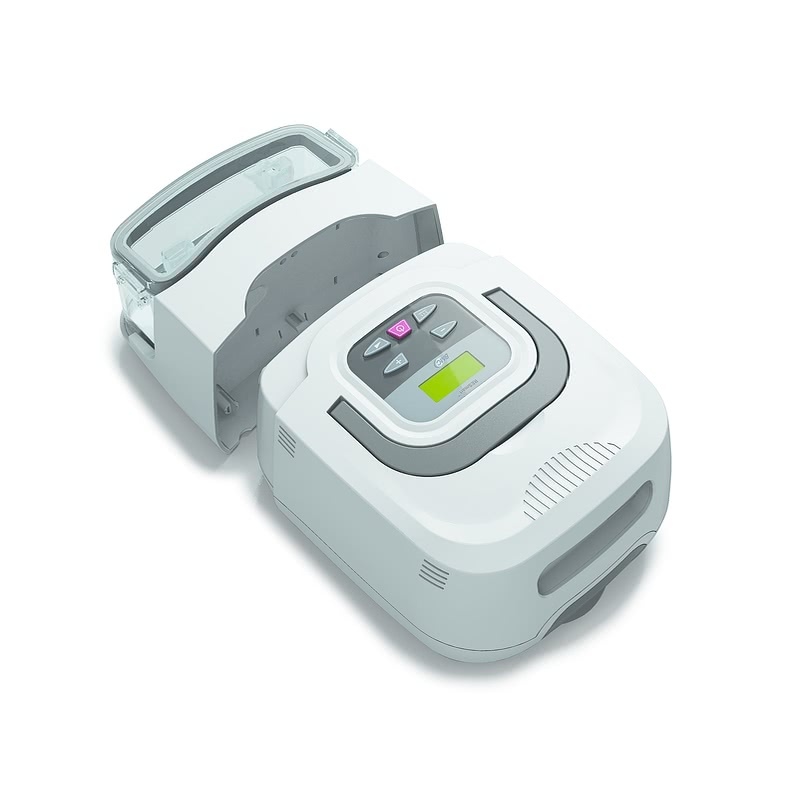 For information on settings, review the Quick Reference Sheet RESmart Auto & CPAP. For information on iCodes and reports view the RESmart iCode Quick Reference Sheet. RESmart machines use a standard, 22mm, non-heated hose. They are are not compatible with 15mm hoses. With the machine turned off, press and hold the Ramp button. The "Heater" setting will appear in the window. Step through the settings by pushing the "+" button. RESlex is the seventh setting. To change the RESlex setting, press the Ramp button one time, on the display screen a square next to the setting number will flash indicating it is active. Pressing the "+" and "-" buttons select the desired level of RESlex. 0=Off; 1= the least drop in pressure at the time of exhalation; 3= the most drop in pressure at the time of exhalation. Press the Ramp button once to set the RESlex setting. Step through the remaining 6 menu items by pressing the "+" button until reaching the word "SAVE"
Press the Ramp button to LOCK IN any changes made. The screen will display will return to the ready mode. NOTE - If the settings are not locked in with SAVE the changes will not be in place when using the machine. DelayOff with Humidifier Usage: If a humidifier was used during the therapy session, the machine will continue blowing in a 'DelayOff' mode at a very low pressure to cool off the heating elements. This is normal operation for the RESmart line of machines. This feature can be changed in the Patient Menu as detailed above for RESlex. Look for the feature "DelayOff". When "Enable" is selected, a machine with humidifier will run at a low pressure to cool and dry the machine. When "Disable" is selected, a machine with a humidifier will turn off when the therapy session is ended. Filter Change: Remove the filter cover by depressing the tab on the bottom of the cover and pulling up on the flare at the bottom of the cover. Insert the filter with the smooth, flat side facing INTO the machine. The textured side of the filter will be showing when installed correctly. Snap the filter cover back in place. Never install a wet filter. Humidifier Chamber: The humidifier chamber is sealed and cannot be taken apart. It is recommended to fill and empty the chamber through the top port. Alternately, the silicone plug on top of the chamber can be removed to allow emptying. To replace the silicone plug, set the chamber on a hard, even surface, line up the tabs with the holes on the chamber and press firmly downward. Weighing in at only 1.7 pounds, the Freedom Travel Battery can go almost anywhere, even off-the-grid. The Freedom Travel Battery is also certified by the FAA for in-flight use, meaning it's the perfect travel companion for long flights. PLEASE NOTE: The Freedom Travel Battery can only connect to the RESmart by using a 150 Watt Sine Wave DC to AC Power Inverter (sold separately). The inverter converts DC power to AC power, allowing the AC power cord to plug into the inverter, and run off DC power. It should be noted that using an inverter can impact total DC run times. 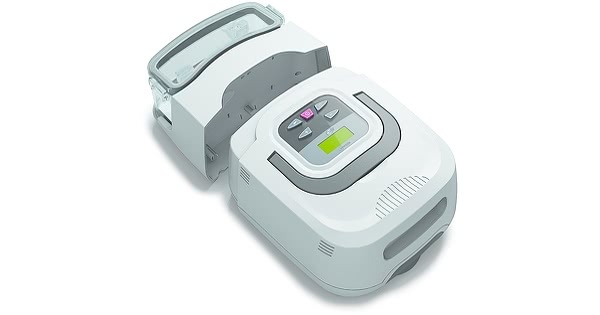 While CPAP.com doesn't sell Deep Cycle (Car and Boat) Batteries, it is possible to connect to one of these lead-acid batteries with the 150 Watt Sine Wave DC to AC Power Inverter mentioned above. Deep Cycle Batteries are available locally at most auto parts stores.